Established in 1936, Magnatrol continues its commitment to improve product quality and delivery and further expand its wide and loyal customer base. We offer quick delivery and excellent quality and product support. Magnatrol serves a wide range of industries involved with fluid process control, which includes Chemical, Power, Petroleum, Pharmaceuticals, Water and Waste, Metal, Textile, Food, Pulp & Paper, Navy, Marine, and General Industry including Original Equipment Manufacturers (OEM). Our continued success has come from manufacturing a top quality product, product support, commitment to service and on-time delivery assuring complete customer satisfaction. 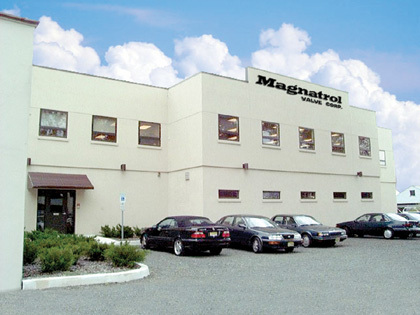 In 2003 Magnatrol purchased the Clark-Cooper Corporation now known as Clark-Cooper Division which offers High Pressure Solenoid Valves, Custom Engineered Valves, Special Alloys, Temperatures and Creative Design Solutions for the most challenging applications as well as Modifications to Standard Magnatrol Valves. Clark-Cooper Corporation was established in 1962 as a manufacturer of process control products, specializing in electrically controlled valves and pumps. Over time, the company has concentrated its efforts on the valve portion of the business, and now offers several product lines of industrial solenoid valves. In 2003, the company was purchased by Magnatrol Valve Corporation and changed its name to Clark-Cooper Division. Clark-Cooper Division operates under an ISO 9001:2000 certified Quality Management System. Experienced engineers and manufacturing personnel work to provide the high level of product reliability required by today’s demanding industry leaders. The company is continually expanding their product lines to meet ever changing industry demands. Clark-Cooper prides itself on providing creative design solutions, for the most challenging applications, in a timely and cost effective manner. 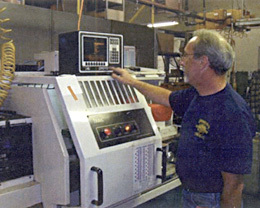 Custom products are available through modifications to existing designs or, when necessary, an entirely new design. Clark-Cooper serves a very wide range of industries involved with process control. Some of these include: Original Equipment Manufacturers (OEM), Navy, Marine, Power, Pulp & Paper, Chemical, Petrochemical and Gas. In order to provide more accurate information and faster service to our customers, Magnatrol has upgraded their computer system and revised the valve numbering system as well.